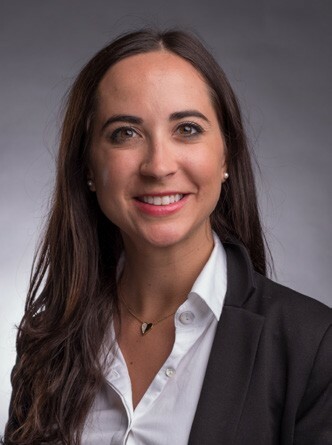 Soon after her arrival to Cincinnati, Francesca Gottardi stood out as an exceptional member of the University of Cincinnati College of Law community. Since then, the UC Law LLM Class of 2018 graduate has embraced every available opportunity, giving her quite a story to tell. Gottardi was born and raised in Pergine Valsugana, Italy, an Alpine village of 18,000 citizens located near the Austrian border. She earned her first degree in law at the nearby University of Trento. 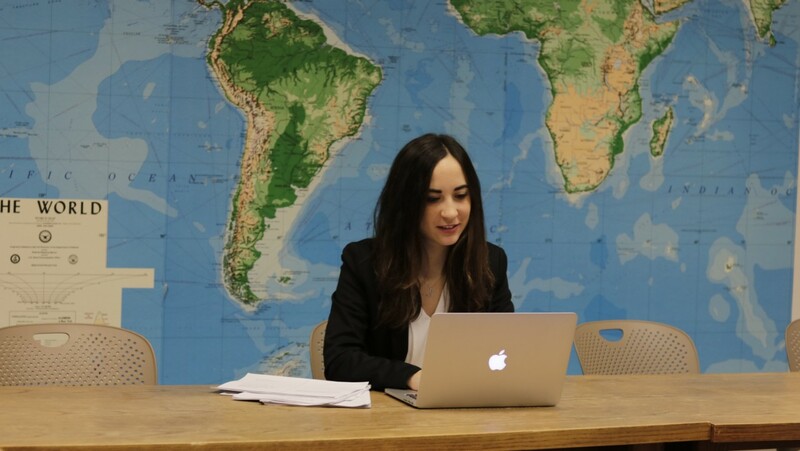 As part of her education in international law, Gottardi spent months studying in Spain, Australia, and the Vermont Law School. Her coordinator at Vermont was Cincinnati Law alumnae Pamela Stephens (‘75), who helped point Gottardi to Cincinnati’s LLM program. Gottardi’s goal in coming to Cincinnati Law was to expand her knowledge of common law. Italy and much of Europe exercises a civil law system, in which general principles apply to many specific cases. Anglospheric countries, like the United States, employ common law instead, in which separate cases point to a general rule. An attorney with law degrees both in Europe and in the U.S. has an incredible competitive advantage in the context of multinational company work and/or international litigation. Reflecting on the sometimes-difficult experience, however, Gottardi does not hesitate to say, “I loved it.” She feels the quality of teaching here is “outstanding” and felt a particular affinity for Professor Jacob Cogan’s interest in international law and adjunct Professor John B. Pinney's ability to bring his professional experience into the classroom. Pinney was also instrumental in Gottardi’s decision to represent Cincinnati Law at the 25th Annual William C. Vis International Commercial Arbitration Moot in Hong Kong, China. The Vis competition is an annual international law student arbitration competition. Schools from all over the world participate, and it is one of the most prestigious law competitions in the world. Pinney and Steve McDevitt (attorney at Frost, Brown, Todd law firm) volunteered their time to lead Gottardi’s team. In the summer of 2018, with Cincinnati Law sponsorship, Gottardi went to the Republic of Georgia. Under the supervision of Georgian Deputy Minister of the Interior and fellow Cincinnati Law LLM graduate Natia Mezvrishvili, Gottardi worked on a variety of issues at the Ministry, focusing primarily on domestic violence issues. One of her first tasks was researching cybercrime, with a special focus on cyberbullying and cyberstalking—relatively new fields that greatly benefit from further research. Gottardi also learned about Georgia’s history and government (you can check out her overview here). Nora Burke Wagner, assistant dean for International Student Programs & Director of the LLM Program, explained that the trip was made possible by the law school’s Urban Morgan Institute, as well as Mezvrishvili. “After Natia was named Georgian Deputy Minister of the Interior, she offered to host a UC Law intern. Francesca’s work with the Urban Morgan Institute and Human Rights Quarterly made her the perfect choice. We couldn’t be prouder of both Natia and Francesca, and we’re incredibly grateful to Natia for creating this opportunity,” she said. To add to her international resume, Gottardi has also served on the Hamilton County Youth Court Program since fall of 2017. She explains that the Center for Professional Development led her to the program as an opportunity for pro-bono work, something that is important to Gottardi. Now back in Cincinnati for the fall semester, Gottardi has become one of the first ever LLM-to-JD transfer students. She is working towards her JD while also pursuing a PhD in political science. Keeping busy and balancing an ultra-challenging schedule is never easy, but it seems to be a specialty of Gottardi’s. Thanks to the connection inspired by Gottardi, Cincinnati Law and the University of Trento have entered into a partnership that will bring other Trento students to UC to follow in Francesca’s footsteps. Students who participate in the partnership are pursuing an undergraduate degree in the combined bachelor’s and master’s law degree at Trento. They will spend one year of the Trento program at Cincinnati earning an LLM in the US Legal System. In addition to gaining international experience, developing their English legal writing skills, and networking in the fast-paced Cincinnati legal community, students selected for this special program will receive a 50% tuition discount. The college is currently recruiting students for the fall 2019 semester. Written by Pete Mills and Emily Dawson, graduate assistants at the UC College of Law.